Nissan slots the vehicle in what it calls its pre- and post-family segment of utility vehicles. The Nissan Qashqai European tall wagon will be sold in Canada starting in 2017, the automaker said Jan. 8. Nissan unveiled the Canadian version of the five-passenger European compact-utility vehicle at an airplane hangar in Windsor, Ont. just as the North American International Auto Show was kicking off across the river in Detroit. The Japanese automaker slots the vehicle in what it calls its pre- and post-family segment of utility vehicles. “This is my baby,” Nissan Senior Vice-president of Sales, Marketing and Operations, Christian Meunier, told journalists gathered for the unveiling. 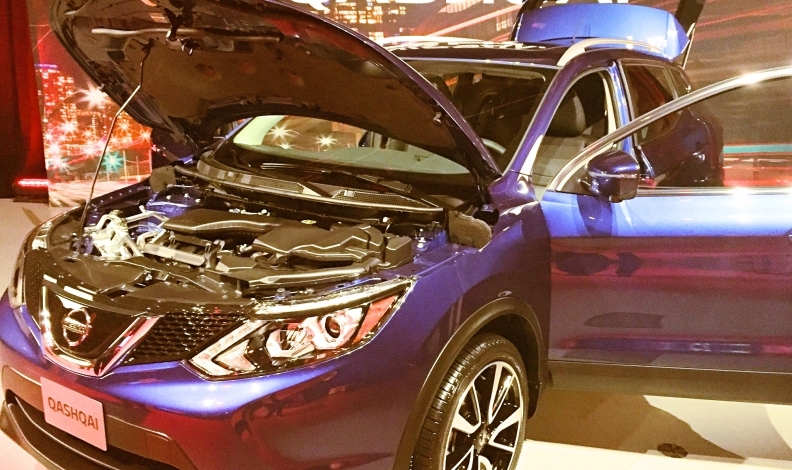 Meunier began building a case for a Canadian version of the Qashqai four years ago, almost immediately after being named President of Nissan Canada. Once the subcompact Micra was for sale in Canada, he shifted focus to bringing the Qashqai to Canada from Europe. The Micra has sold nearly 30,000 units since 2014, which Meunier called “a great success.” He now has high expectations for the Qashqai, the automaker’s sixth utility vehicle. 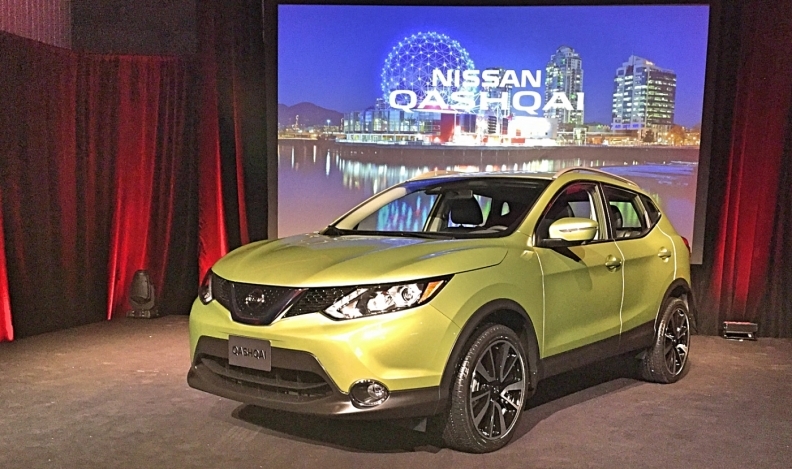 The Quashqai fits between the Rogue, Canada's top-selling compact utility vehicle, and the Juke. “I’m convinced it will be a game changer in the compact segment,” Meunier said. The compact utility vehicle has overtaken compact car as the largest segment in the Canadian market, accounting for 21.9 per cent of total industry volume, Nissan said. Since its 2006 debut, Nissan has sold 2.5 million units of the Qashqai worldwide; two million of those were sold in Europe. Current Nissan Canada President Joni Paiva would not say how many units the automaker expects to sell in Canada. 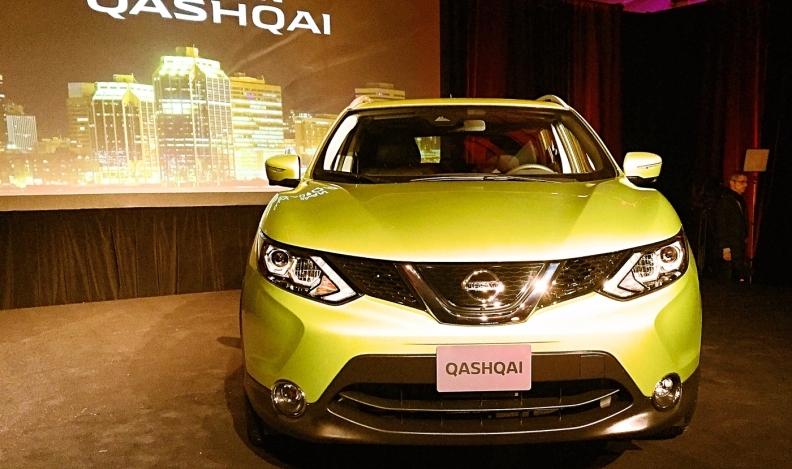 The Quashqai fits between the Rogue, Canada’s top-selling compact utility vehicle, and the Juke. Built on the same platform as the Rogue, it’s expected to compete with the Honda HR-V, Hyundai Tucson and Ford EcoSport. Paiva said the Qashqai is geared to “more urban-centric and singles,” who still want cargo space and some off-road capability. The five-passenger Qashqai has 548 litres (22.9 cu-ft) of cargo space behind the second row of seats and 1,730 litres (61.1 cu-ft) of space when the seats are folded down. In order to maximize economies of scale, Nissan said it would also sell the Qashqai in the United States. The first vehicles should arrive in dealerships in the spring. Pricing will be revealed at a later date. The Canadian version of the Qashqai comes with a 2.0-litre, four-cylinder engine with 141 hp and CVT or six-speed manual transmission. The Qashqai is a popular vehicle in Europe, where it’s available with either gasoline or diesel powertrains, with a 1.2- or 2.0-litre engine. In Europe, it’s available with a CVT or a six-speed manual transmission. The Canadian version comes with a 2.0-litre, four-cylinder engine with 141 hp and CVT or six-speed manual transmission. “What I can tell you, with my European background and the way I read the markets, is that many customers in many regions of Canada resonate a lot with European tastes and touch,” Paiva said. To combat cold Canadian winters, heated front seats will be standard on the Qashqai. Remote start, heated steering wheel and all-wheel drive are available options.